Doyle & Roth are experts in the design & fabrication of shell and tube heat exchangers and pressure vessels. Our engineers have the capability to provide complete Thermal design and Mechanical optimization. At Doyle & Roth, we take pride in providing superior customer service while maintaining competitive pricing and exceptional quality. Service – Doyle & Roth takes a client focused approach to all of their services. Your needs are always at the forefront of the design and manufacturing process. D&R engineers will work closely with you to make sure all project requirements are incorporated into the design as efficiently as possible. Quality – Quality begins with efficient plant management and proven procedures. 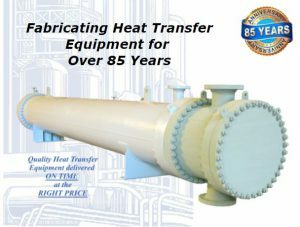 85 years of experience fabricating shell and tube heat exchangers has been documented in their Quality Manual which governs all aspects of the process from component purchase through final inspection. 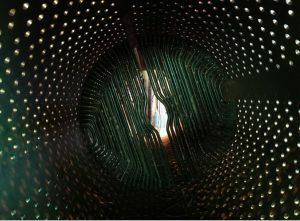 The commitment to quality is backed by a guarantee on all of D&R’s thermal and mechanical heat exchanger designs. 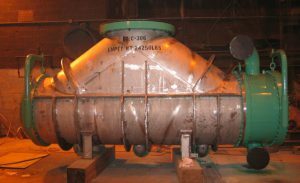 Delivery – Doyle & Roth offers complete “in-house” capability for the fabrication of pressure vessels and tubular heat transfer equipment. 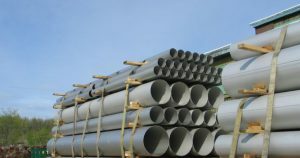 D&R maintain large inventories of standard tubing, pipe, plate, fitting, flanges, etc., allowing for outstanding delivery performance. For the purchase of custom materials, they have developed and maintained strong relationships with pre-qualified vendors and have negotiated rates and expedited delivery times for long lead items. Thermal Rating – All Thermal design is performed by in-house Process Engineers, utilizing Aspen Tech Thermal Rating software and custom developed programming. D&R operate with the understanding that correct and thorough input is required for accurate results. Their engineers dictate the design based on experience and knowledge of thermal properties, using the software only as a tool. D&R have the capability to design all major industrial shell and tube heat exchanger equipment, including single phase, multi-phase, condensers, evaporators and specialty units. 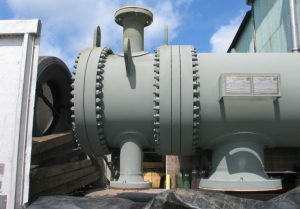 Mechanical Design – Doyle & Roth engineers are experts in the design and mechanical optimization of heat transfer equipment. They have a thorough understanding of all applicable codes and design references including ASME, TEMA, API 660, PIP and are well versed in the interpretation of customer specifications. Quotation Process – When Doyle & Roth receives your request, each unit is checked for consistency with the provided Datasheet or thermally rated if required. Their engineers review all specifications in detail, assuring that all project requirements are adhered to. Each Unit is then mechanically designed and independently priced using current material cost. If specialty material is required, they reach out to their community of vendors to request the market value price of those specific items. The bid package, including pricing, customer information, specification notes, mechanical calculations and if required, thermal rating and TEMA Datasheet is reviewed and signed off on by a Senior Executive at Doyle & Roth prior to the submission of the bid.